If we focus on all that our life isn’t, we miss all the beauty that our life IS. 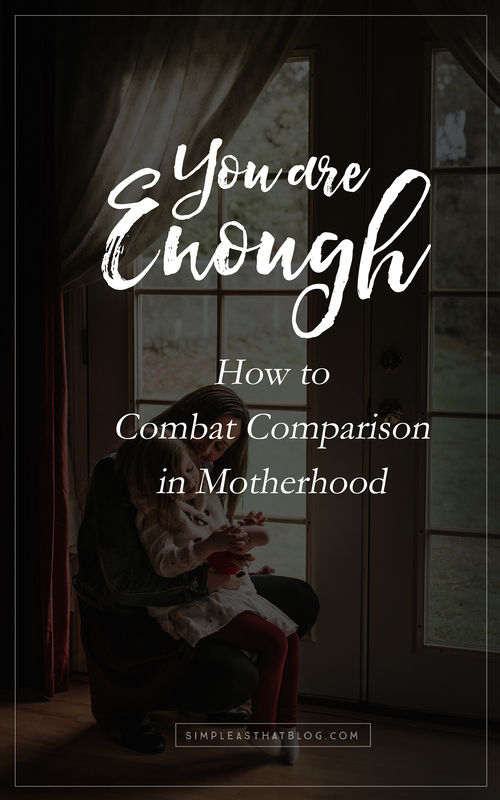 Four powerful ways to combat comparison in motherhood. I was never a mom who arrived showered and with her hair done. I’d compare myself to the women who appeared at 9am preschool drop-off glowing with a full face of makeup. I could barely get us all dressed, fed and in clean-ish clothes—let alone think about putting a stitch of makeup on my face. 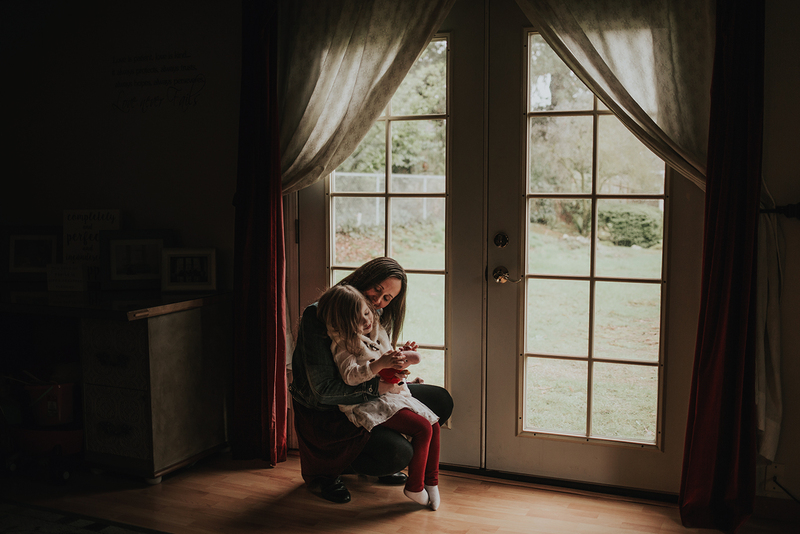 I was never a mom who arrived at church with a well-groomed family and a calm heart. I’d watch other women who seemed to float into church, holding hands with their husband, children obediently in tow. It appeared effortless for them. 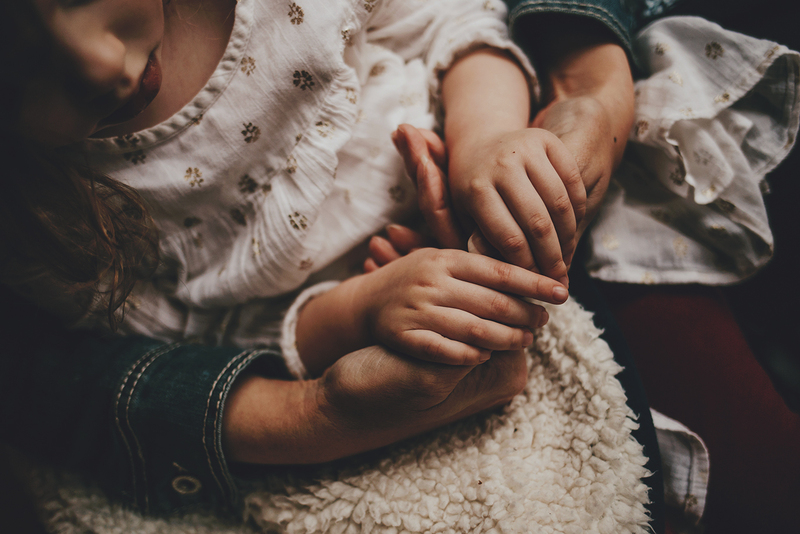 I compared this story in my head with the very real, very chaotic morning I’d just had wrestling children into clothes they didn’t want to wear (while my husband slept in)… gulping down half a bowl of cereal after feeding everyone else… walking into church feeling like a haggard mess before the meeting had even begun. I was never a mom who could juggle working a full-time job, writing a book, organizing a charity event, effortlessly running a blog or online business—while raising children. 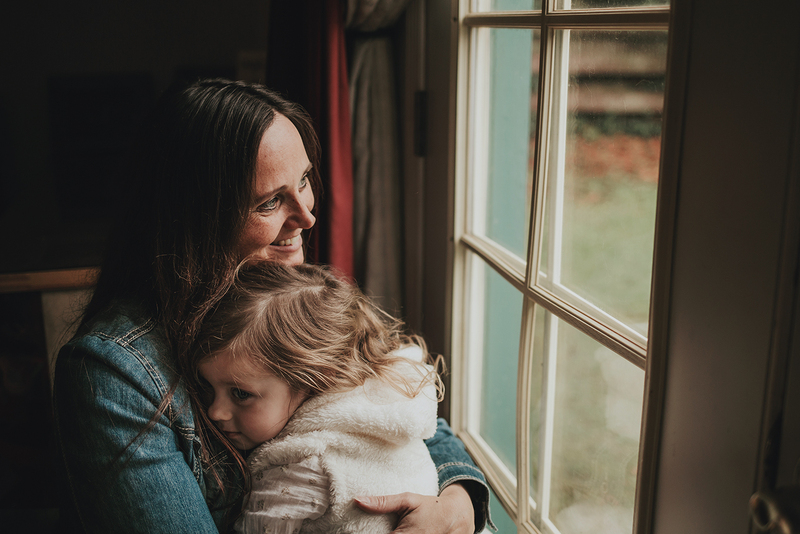 In my mind, I was in the throes of dirty diapers, spit up, and little sleep—accomplishing very little that ever stayed done—while other women were significantly contributing to the world. 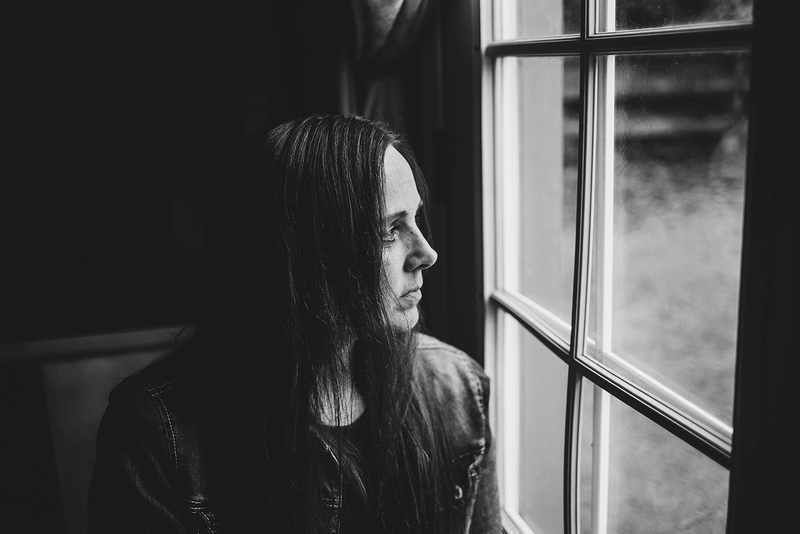 I constantly repeated these messages of “I am not enough,” and it was so destructive. Maybe every hour of every day? Physical appearance. Hair, makeup, weight, body composition, etc. Our mothering abilities. This one is especially emotional for me. Our children and their behaviors. From how well they listen to how much time they spend on screens—and so much more. The state of our homes. Neat, dirty, cluttered, organized? Our personal accomplishments. Especially while raising kids. If we continually focus on all that our life isn’t, we’re missing all the beauty that our life is. The biggest help for me has been learning to reframe. It takes consciousness—and practice. But it’s so worth it. When you’ve honed in on what your purpose is for your particular season, it’s easier to let those comparisons fall by the wayside. Let comparison be a cue to you to refocus on your unique purpose. Gratitude is the best antidote to comparison. It takes us out of where we think we should be and reminds us of the beauty in where we are. Instead of letting yourself fall down the rabbit hole, could you step outside of yourself by doing something for someone else? 4. Reduce your time on social media. Social media deserves its own section—probably its own post!—because it is so often the root of our most damaging comparisons. Comparison becomes especially dangerous when we judge ourselves harshly against the filtered, edited, curated view of reality we often see on social media. The well behaved, smiling children that always get along, the beautifully decorated house, the spouse who is constantly doing sweet things to surprise his wife, a friend’s career accomplishments. We may envy the vacation someone just took, but this is just a tiny sliver of their entire life. It’s the truth—but not the whole truth. The reality is, people are constantly showcasing the best aspects of their life on social media. And we are using the same scale to measure two entirely different realities. When you find yourself slipping deeper into comparisons that stem from social media, don’t be afraid to step back. Delete the apps from your phone for a while. Unfollow people who may (even unintentionally) be making you feel like you come up short. Take the steps you need to take. It’s for my own happiness but also my daughters‘ future happiness that I’m so invested in the stumbling block that is the comparison trap. I want my girls to talk to themselves with love, compassion, and self-respect, and that starts with me. Now that mine are 19 and 17, I realize that I did a pretty good job. All that fretting like you mentioned above only made me an anxious mom and who would want to live with her? I feel bad that I was like that. Finally, as my kids approached their teens, I realized I had to stop and just be their mom. No more fretting and trying to match up. More loved gushed out of me than ever before. My relationship with my kids changed, I could feel more respect and comfort from them. And they could relax and just be my kids. Thank you for posting this and to all the moms, you’re doing great!